The Stetson Law team of Elise Engle, LaMark McGreen, Grace Samarkos and Megan Tiralosi won the Chester Bedell Mock Trial Competition on Jan. 23-25 in Tampa, Florida. 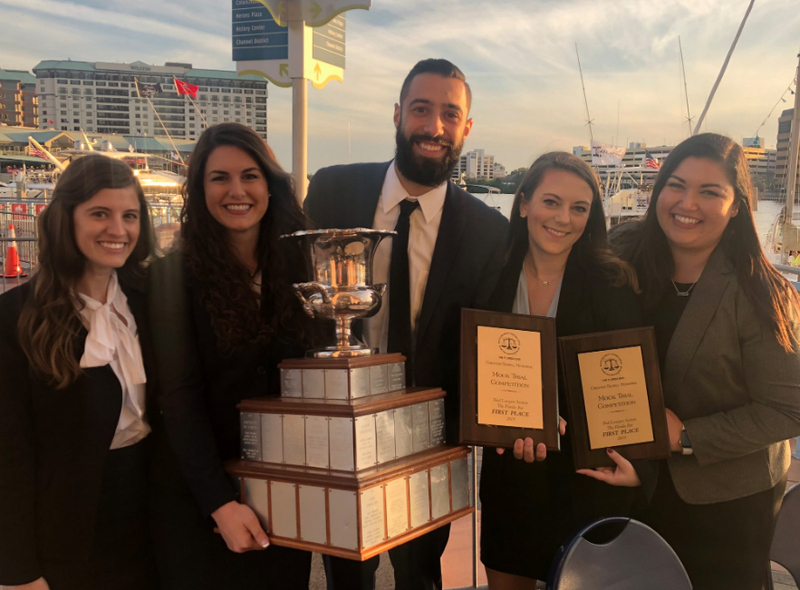 GULFPORT, FL, January 30, 2019 /24-7PressRelease/ — The Stetson University College of Law team of Elise Engle, LaMark McGreen, Grace Samarkos and Megan Tiralosi won the Chester Bedell Mock Trial Competition on Jan. 23-25 in Tampa, Florida. This year, Stetson won the competition for the 23rd time in 37 years. A Stetson team won the inaugural Chester Bedell competition in 1983. The Trial Lawyers Section of the Florida Bar conducts the prestigious competition for mock trial teams from across the state annually, and the final round of competition is presided over by distinguished members of the judiciary. Stetson Law 2016 alumni Brandon and Lara Breslow co-coached the team. A second Stetson team of JD Arnett, Olivia Bergert, Blake Fromang and Justine Roof made it to the semi-final round. Stetson’s program in trial advocacy is nationally ranked no. 1 by U.S. News & World Report. To learn more about the advocacy program, visit stetson.edu/law/advocacy.